Long before Carole King became a chart-topping music legend, she was Carol Klein, a girl from Brooklyn. Beloved for penning such iconic pop classics as "You've Got a Friend" and "I Feel the Earth Move," she fought her way into the record business as a teenager and ultimately flourished, writing hits for some of the biggest acts in rock 'n' roll. But it wasn't until her personal life began to crack that she finally found her true voice. "Beautiful" is the inspiring true story of King's remarkable rise to stardom, from part of a hit songwriting team with her husband Gerry Goffin, to her relationship with fellow writers and best friends Cynthia Weil and Barry Mann, to becoming one of the most successful solo acts in popular music history. 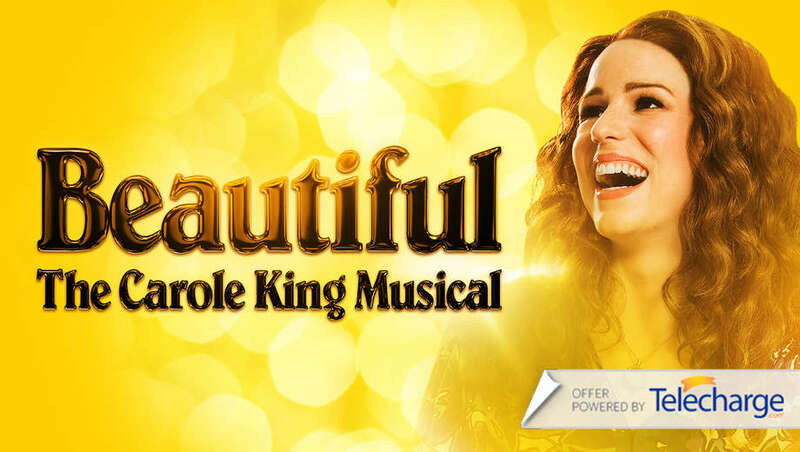 It's no surprise that "Beautiful -- The Carole King Musical" won a Grammy for Best Musical Theater Album of 2015. See this unforgettable show at the Stephen Sondheim Theatre in New York City.